"Cars are parked 95% of the time". Let's check! "Most people in transportation focus on the five percent of the time that cars are moving. But the average car is parked 95 percent of the time. I think there's a lot to learn from that 95 percent." Donald Shoup when asked why he studies parking. 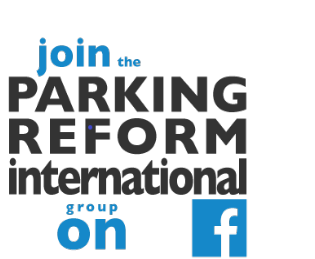 If you have an interest in parking policy, you may have come across that figure of 95% before. But where does it come from? How accurate is it? Does it only apply to the United States? Is the number similar in your country, state or city? This post offers some answers and gives you tools to find out more. Basically, to calculate the percent of time that cars are parked we need to estimate the number of hours that the average car is in motion. After that the time spent parking is simple. Give it a try for a place you care about! And when you are done, please share your results (and your assumptions) in the comments! Here are three different approaches to the calculation. There are probably others, which you may be forced to try depending on the data available. "... there are about 25 billion car trips per year, and with some 27 million cars, this suggests an average of just under 18 trips per car every week. Since the duration of the average car trip is about 20 minutes, the typical car is only on the move for 6 hours in the week: for the remaining 162 hours it is stationary – parked." Since there are 168 hours in a week, the typical UK car is parked 96.5% of the time - even higher than Shoup's US estimate! With this method, be careful to use car trips and not just trips by car. In other words, you want trips by car as driver so that you don't count trips as a car passenger. If you only have a total for both drivers and passengers then you will need to find an estimate of overall average car occupancy and divide by that to get the vehicle trips (driver trips) number. Option #2: Based on time drivers spend driving (from transportation surveys) and assuming one car per driver. If your local travel survey spits out a number for time spent driving then you can use that directly for a rough estimate. This is how Shoup gets his 95% number. See Appendix B (p.624) of his epic tome "The High Cost of Free Parking". He cites the 1995 Nationwide Personal Transportaton Survey (NPTS) of the US Department of Transportation as finding that the average time drivers spent driving was 73 minutes (1.2 hours). Assuming one car per driver (which is roughly OK probably for the US context), this gives 5% as the time each car is in motion. Transportation studies for metropolitan areas often provide data on the average yearly distance driven per car and the overall (24 hour, 7 days) traffic speed. If so, you can use this easy method (although note that those 24/7 speed numbers may not be the most solid of transport statistics I suspect). If you don't have car km per car you may be able to get it by dividing total car km by the number of cars, being careful that the two numbers are for the same study area. The average time each car is in motion is the car km per year divided by the average speed. I took a look at the 1995 UITP Millennium Cities Database numbers using this method. The average percentage of time that cars were parked for the 84 cities in that study was 95.8%. They were typically in motion for 1.02 hours per day. For example, for Singapore in 1995, we have a 24/7 speed of 35.2 km/hr and 18,486 car km per car. This gives 525 annual hours of operation per car and, since there are 8,760 hours in a year, we get 94% as the percent of time a 1995 Singapore car was spent parked. The lowest figures (88.4% and 89.4%) were two Chinese cities with suspicious looking speed numbers (nice round 18 km/h for both, which looks like a rough estimate and on the slow side). The next lowest figure was 92.3% in Seoul with 16,013 car km per car and 23.8 km/h in 1995. First, I have confirmed that Shoup's estimate of 95% does seem widely applicable. Across the world cars seem to be parked at least 92% of the time and typically about 96% of the time, according to the 1995 data mentioned above. I doubt more up to date or accurate data sets would change this number much. It highlights a crucial inefficiency of mass private car ownership. It points towards huge parking space savings (an enormous land bank) that shifts away from mass car ownership might open up, if only we could massively improve the alternatives including making car-sharing and other 'metered access to shared cars' (MASC) more of a mass market phenomenon. 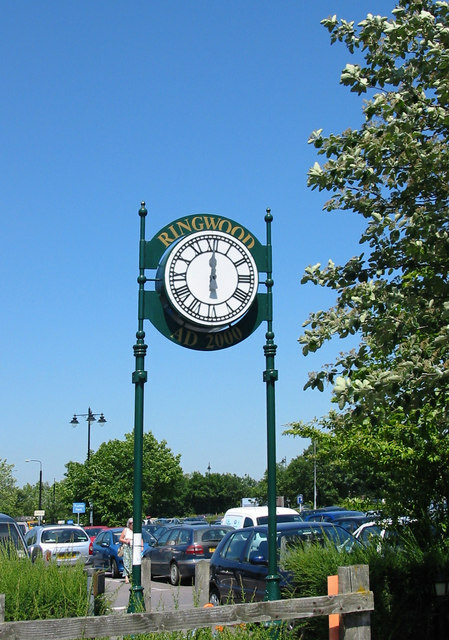 The numbers on parking time also tend to surprise people, which makes them worth mentioning. But of course, once you think about it, we shouldn't really be surprised. It WOULD be surprising if privately owned household cars were typically in motion for any more than 1 hour 40 minutes which means parking would be less than 93% of the time. What if you exclude sleeping time, say the 8 hours from 10.30pm to 6.30am? Even then in-motion time is only 1.02/16 hrs = 6.4%. So cars are typically parked for 93.6% of even WAKING hours! It is also striking that the percentage of time that cars spend parked varies so little across the globe. Again, we shouldn't really be surprised since annual hours in operation would need to vary enormously to make much impact on the percent of time parked. So once again, give it a try with numbers on the places you care about. Brilliant! Thank you for confirming this. Most people are truly surprised when you tell them that their car is parked 95% of the time -- it forces them to think what a waste of time and space that is. Which is a great step forward in the reform of private vehicle paradigms. I believe future generations will laugh at our struggles with this issue. These numbers would surprise a lot of people, but what I haven't seen asked is what usage rate you would get, theoretically, if private vehicles were replaced with car-sharing and other options. It would be interesting to know what the usage rate is for Zipcar, for example. I'd be surprised if they spent less than 60% of their time parked. nice. it seemed to me that this is an almost 'unnoticed' disadvantage to the car - the amount of space it needs not to be driven - my local supermarket takes up less space than the car park. i liked someone's memory of a london bonfire night - in a terraced street - most people would buy and let off a few fireworks in the road - there would be very few or no cars parks so it was easily possible. what a difference now. car owners grouch about parking (finding the space/cost) as much as anything, i have noticed. This would be a serious problem for places short on spaces though. You could extend this thought to other items outside of the transport space, and this can get dangerous as you erode away the concept of ownership. Huh, ownership at the expense of everyone else. What a funny person you are. For on street parking it is worth reflecting on 2 points. In legal terms most roads are built on land which remains the property of the frontagers - the road is owned and maintained by the roads authority, and it has been established in law going back around 600 years, that any profit from the use of that land should go to the owner of that land. It is still very clearly stated in current roads legislation, and any charges made by a roads authority for parking on a road MUST be used to pay for the management of that parking and associated costs. Has I the resources it could make a fine legal challenge for a reduction in my Council Tax in respect of any proven profit made by the Council's parking operations. Because of this a second detail is generated, and in law there is only one requirement placed on the roads authorities when providing and maintaining roads. The only requirement is to provide roads - in the form of pavements to provide footways and carriageways for the passing and repassing of traffic. It used to give one roads officer great joy when called on to provide space for a local resident or shopkeeper to 'park' on their street to politely refuse on the basis that he would be breaking the law to do so. Stopping to set down or pick up goods or passengers is permitted but obviously getting out and leaving the vehicle creates an obstruction. Just look around after a fall of snow and you can quickly see what parts of the road are REALLY needed for moving traffic - easily 50% of the road surfaces in a town could be abandoned and converted into small green spaces all soaking up rainfall and mitigating flooding in the process, or returned to the land-owners to make use of, within the constraint that it did not adversely affect the remaining roads. This of course would create a position where those wanting land to park a car on, would be obliged to pay the market rate for that land, and any servicing costs. This could radically address the levelling of the playing field whn comparing the real costs of transport. Finally on a different tack, do a little calculation linked to the chaotic events when 13000 drivers all decided to leave Bluewater at the same time. Optimistically, we might take 6 seconds at the time it takes for driver to move from the exit barrier to moving away freely on the road outside. with just one exit that delivers a wait of almost 22 hours for the last driver to get out. Actually allowing for 2 lanes heading out to the 4 points of the compass we get between 2 and 3 hours as likely delays, which is pretty much the result that was experienced. Now transfer this to a city centre (like Glasgow) where car park construction has run rampant, and guess what happens at the start and end of the day - just over an hour of gridlock and outside that time.. deserted streets. So one key way to reduce congestion is to regulate the peak departure and arrival rates for the car parking - perhaps a premium charge for coming and going at the peak congestion times. That same regulatory detail might also be applied to 'entry points' such as river crossings. Potentially congestion reduced and road capacity better utilised.